The perfect gift for the snowy holiday season. 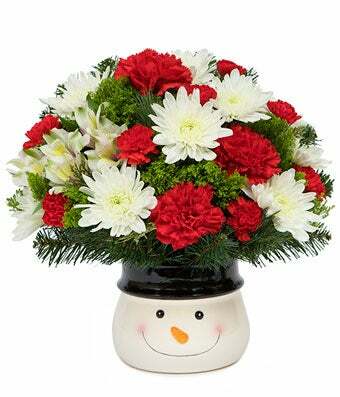 Send this lovable snowman bouquet filled with red carnations, white cushion poms and more! Arrangement Height 12", Length 12"